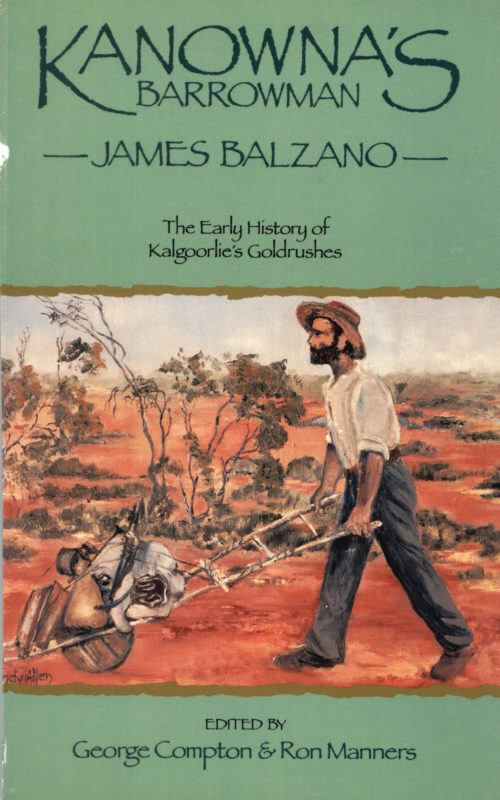 James Balzano, born in Italy in 1859, gained some education in South America and the US before joining the goldrush in New Zealand and then Victoria, later moving to Western Australia where he travelled 900km in one journey – his barrow fashioned with a few tools, a tomahawk and some leather thongs. George Compton and Ron Manners, whose fathers had a great deal to do with Balzano, joined forces to produce a book on his barrow travels. 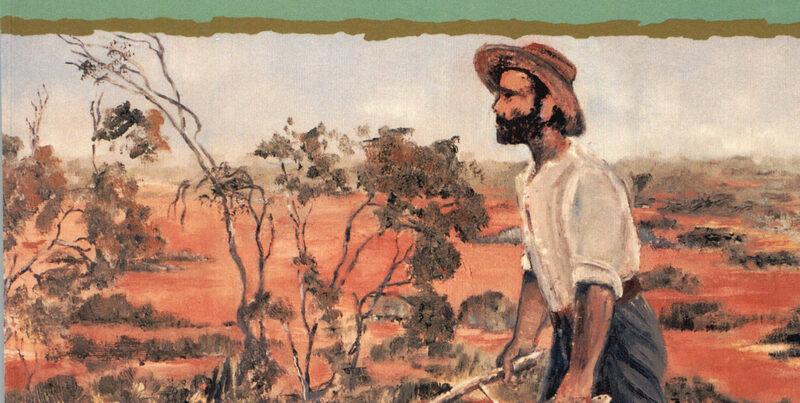 He had little luck in his gold prospecting but left treasure in the form of his detailed diaries. Each night, by the light of the moon, the flicker of a candle stub or camp fire, he recorded his route, meals and daily experiences. He told the tales of the men he met, stories of the finds, the success and tragedies of the various places, the costs, terrain and the weather. He was an historian who pushed a barrow.